The series’ first antagonist, a member of Wärter who is cruel and violent. She has a harem of Extars – called the Adel (“nobility”) – that she uses all at once when fighting her opponents. 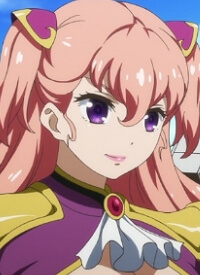 She strives to bring Mermaid under her thumb, but is later used as a willing puppet Governor by Momoka.